The Singapore budget’s plan to hike the stamp duty on residential property buyers may have weighed on developers’ shares, but at least one property investor doesn’t expect much impact on demand for properties. The new stamp duty, announced in Monday’s reading of the budget, raises the stamp duty on the portion of the purchase price above S$1 million by one percentage point to 4 percent. Property investor Alexander Karolik Shlaen, an economist and CEO of Panache Management, a luxury brands and investment advisor, said on Thursday that not just that the higher duty was likely to have little impact on demand, but also that it was, in fact, a “relief” for property investors. 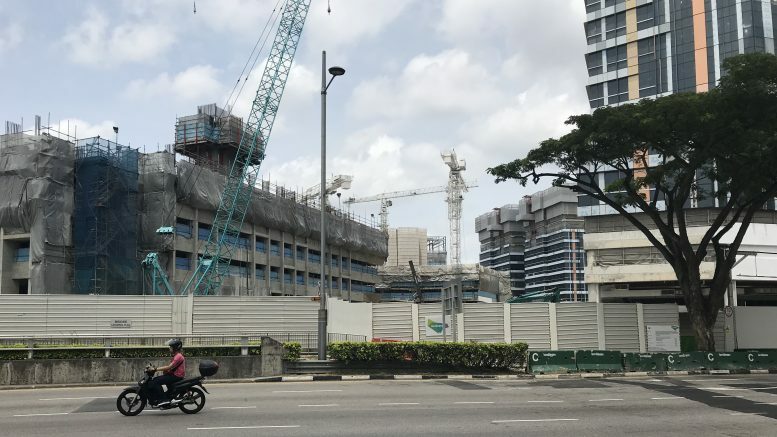 Shlaen, who was an early, and correct, predictor of the turnaround in Singapore property prices over the past year, also noted that the tax applies to very few transactions. Around 81 percent of residential properties are HDB, or public housing, flats, which are almost entirely under the S$1 million bar, he noted. In a note this week, DBS estimated that the average transaction value for private residential properties was around S$1.5 million, meaning most buyers would face an additional S$5,000 in taxes. DBS said this was unlikely to affect affordability for home buyers. Indeed, Shlaen said the real deterrent to buyers was the Additional Buyers Stamp Duty. Starting in 2011, the government enacted a series of measures to cool down a hot property market, where prices had jumped more than 60 percent over the 2009-2013 period. That included an Additional Buyer’s Stamp Duty (ABSD) of 15 percent of the purchase price. The ABSD applies to purchases by most foreigners and permanent residents, but it only applies to Singapore citizens when they buy two or more properties. But Shlaen said the budget’s small uptick in the buyer’s stamp duty could have a positive sentiment impact, because it’s both progressive and equally applied. Overall, Shlaen said he still believed Singapore’s property market was “very underpriced” compared with other similar quality markets.